The State Nuclear Regulatory Inspectorate of Ukraine (SNRC) has approved integrated systems testing of the interim used fuel storage facility (ISF2) at the site of the Chernobyl nuclear power plant in Ukraine. The approval means the facility has officially entered the post-construction phase, the USA's Holtec International reported, according to World Nuclear News. ISF2, which is supported by the Nuclear Safety Account managed by the London-headquartered European Bank for Reconstruction and Development, will provide for the processing and storage of the used nuclear fuel from units 1, 2 and 3, which is required for the decommissioning of the Chornobyl plant, World Nuclear News wrote. Having received SNRC approval on 1 August, Holtec said the cold testing phase will move to hot pre-commissioning testing in December, with fuel loading beginning in March. "A complex dry storage program begun in 1997 by EBRD that Holtec took over after Areva's withdrawal in 2007 features the world's largest fuel dismemberment facility including a hot cell for RBMK fuel," Holtec said. It added: "Back-fitting the state-of-the-art systems in the existing Processing Building, with its substantially obsolesced and long disused equipment and machinery ravaged by over a decade of Ukraine's fierce winters, turned out to be far more complex than was initially envisioned. The plethora of daunting technical and regulatory challenges that had to be overcome and hundreds of thousands of person-hours applied to reach this final regulatory approval makes August 1 a memorable day in the annals of our company." The ISF2 project has "bestowed new technologies to the nuclear industry" that include the first double-walled canister design and a Forced Gas Dehydration system that has turned out to be "indispensable" to dry waterlogged RBMK fuel, the company said. The principal contractors on the project are Ukraine's UTEM, Germany's BNG and Italy's Maloni. 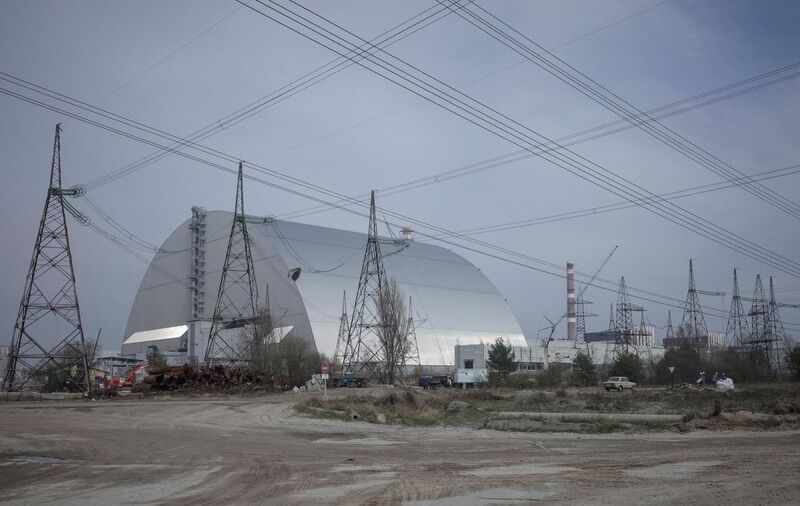 Read alsoUkraine's project to make Chornobyl solar energy hub moves forwardOn 26 April 1986, the Chornobyl plant suffered the worst nuclear accident in history when a power runaway event wrecked reactor 4. The three remaining reactor units, however, were vital to Ukraine's electricity needs and continued to operate for some years. Unit 2 shut down in 1991, unit 1 in 1996 and unit 3 in 2000. The plant officially entered the decommissioning phase in April last year, following approval by the SNRC. The first phase of decommissioning is the so-called final shutdown and preservation stage, which is expected to take ten years. The last damaged used fuel assembly from units 1-3 of the plant was removed in June last year - from the cooling pool of unit 1 - and transferred to ISF1, a wet-type interim storage facility. ISF2 will store all the used fuel on the site for at least 100 years. Last month, Ukraine's state-run nuclear power plant operator Energoatom received SNRC approval to start construction of a central used fuel storage facility at the Chornobyl site. The new dry storage facility, which Energoatom is building together with Holtec, will mean Ukraine will no longer have to spend $200 million each year on its arrangement with Russia to transport and reprocess used nuclear fuel. The country's Cabinet of Ministers approved construction of the proposed facility at Chornobyl in October last year, allocating plots of land with a total area of 45.2 hectares.